Recommended as adhesion promoter and anti-corrosion protector to prepare ferrous and non-ferrous (aluminum, zinc, tin, galvanized and stainless steel) metallic surfaces. 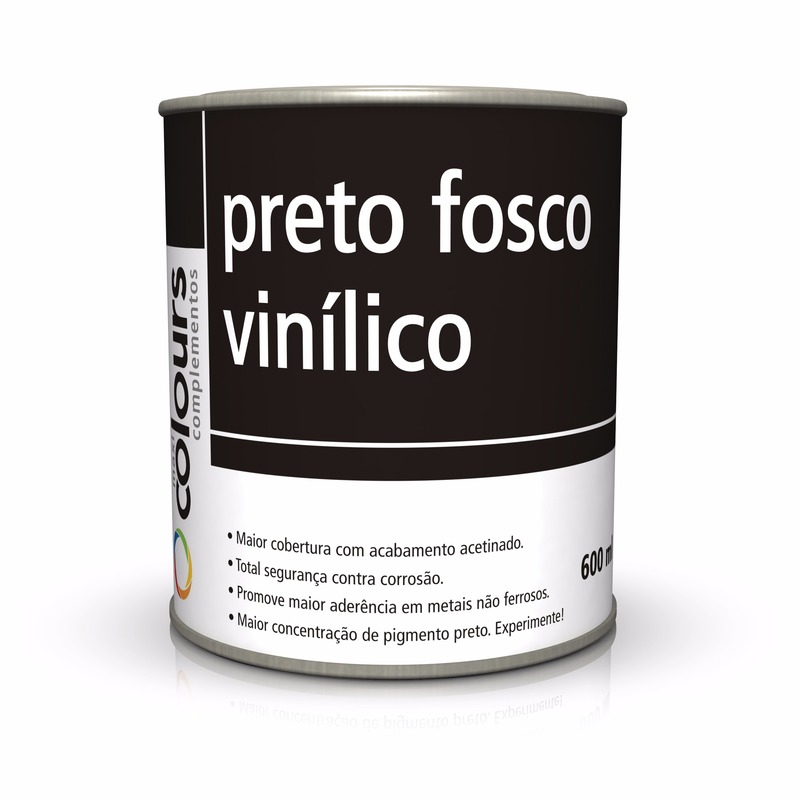 May be used as matt finishing on chromed parts, friezes, metallic bumpers and glass. •	Remove part impurities, rust and flaking paint. •	Then clean the repaired spot using Maxi Rubber Degreasing Solution. •	Homogenize product before application. •	Apply 1 to 2 plain layers with 5- to 10-minute intervals in between. •	Do not dilute Vinyl Matt Black, it may lose its original adhesion and resistance characteristics. •	Heat part before using Vinyl Matt Black on cold, damp days. •	Do not sand Vinyl Matt Black. •	Use a measuring ruler to perform catalysis. •	We do not recommend using finishing paint on vinyl matt black, for the hue may change. •	If repainting, wait 40 minutes before applying Primer on vinyl matt black. Product: vinyl, epoxy and phenolic resins, dyes, loads, additives, and organic solvents. Catalyst: Phosphoric acid and several solvents.